On this day in 1968, Lena Blackburne died. 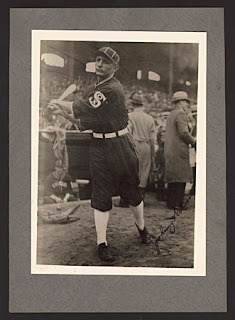 Lena played with the Chicago White Sox in 1910, 1912, 1914, 1915, 1927 and 1929. What's so important about a die hard American League fan, whose batting average with the Sox (.209), is just five points shy of his career average of .214? Well, he did coach the White Sox in 1927 and 1928. Blackburne also managed the Pale Hose from 1928 until 1929. Many players have come back to coach and manage. It's not that uncommon. 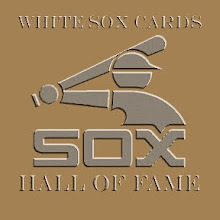 In fact, the Sox just parted ways with a long time manager who was a long time player for the Sox and a new manager was just hired who also played for a long time on the South Side. Lena's contribution is just plain dirty, but not like Hal Chase or Chick Gandil were dirty. Blackburne's claim to fame was mud. 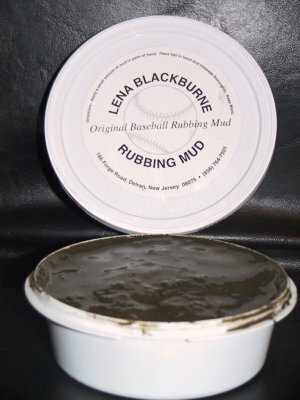 In fact, the secret reservoir of mud that he found is used on all official MLB balls to take the sheen off and to make the balls rougher, so pitchers can get a better grip on the ball, without scratching the leather. By 1938, all American League teams were using the compound and by the mid-fifties, Lena finally sold his compound to the National League, so that all MLB teams were using his discovery. An American League die hard fan, Blackburne refused to sell his compound to the NL. Each year, a thousand pounds of the mud is taken from the secret location and sold to MLB the following season. Even the most marginal players can make a huge difference in the game. One play, one catch, one hit, one strike or one discovery can make all the difference. On this day, George "Catfish" Metkovich is purchased from the Chicago White Sox by the Oakland Oaks of the Pacific Coast League. Catfish would only spend one season with the White Sox, 1949, but he managed to play in ninety-three games during his tenure in Chicago. George's average with the Sox (.237) would be his lowest in the majors until 1953, where he split his time between the Pittsburgh Pirates and the Chicago Cubs. 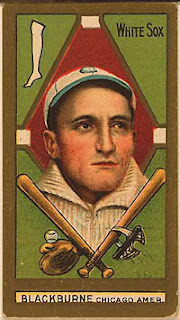 The height of Metkovich's career was between stays in Chicago, with the Pirates. 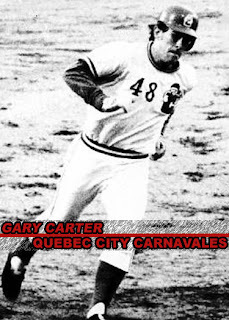 His best year was arguably 1951, but he managed to get a few MVP votes in 1952. George had an eighteen year playing career between his time in the majors and minors. On this day in 1974, Cliff Politte was born. Cliff arrived in Chicago through free agency in 2004. He stayed with the Sox for two and a half seasons. Smack dab in the middle of his stay on the South Side, he was an integral part of the bullpen during the World Championship run. Politte had a career year in 2005, with a 7-1 record, 2.00 ERA and fifty-seven strikeouts in sixty-eight games. Cliff's number fell back to earth in 2006 and went downhill from there. He was released by the White Sox in July 2006. On this day in 1944, Don Secrist was born. 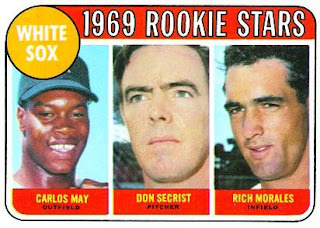 Don has the distinction of making his debut in the first home game for the expansion Seattle Pilots on April 11, 1969. His first pitch in the majors was a wild pitch to Mike Hegan in the bottom of the sixth inning, which allowed Tommy Harper to move into second. Secrist ended up walking Hegan before getting Tommy Davis to ground out to second base. Don came back out in the seventh and appeared to settle down, getting Don Mincher to flyout to right field, Rich Rollins to ground out to the shortstop and Jim Gosger to fly out to center. The score was already 7-0 in the Pilots' favor, so nothing that Don Secrist did in his first game cost the Sox any ground. Wilbur Wood came out in the eighth and kept the score at 7-0, but the White Sox just couldn't manage to bring anyone across the plate. Secrist's MLB career was over by June 27, 1970, when he was sent down to AAA Tucson. Don managed to stick around for a little over a season in the majors, as a reliever. His ERA was high, but only managed to record one decision over that time, a loss to the Minnesota Twins on July 16, 1969. On this day in 1956, Kevin Hickey was born in Chicago, Illinois. 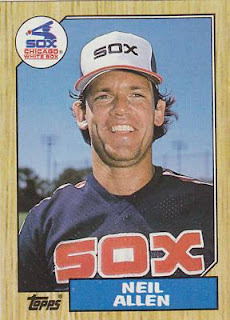 Kevin played three seasons with the White Sox, from 1981 until 1983, and was dealt, along with a very young Doug Drabek, to the New York Yankees in August 1984. After bouncing around a few organizations in the minors, Hickey stuck with the Baltimore Orioles and played with them in the majors from 1989 until 1991. He may be best remembered as "Schoup" from the movie Major League II. 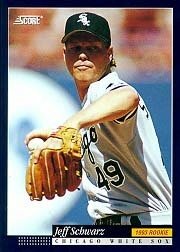 Kevin was the Chicago White Sox batting practice pitcher from 2003 until his death on May 16, 2012. On this day in 1948, the White Sox traded Ed Lopat to the New York Yankees in exchange for Bill Wight, Fred Bradley and Aaron Robinson. In doing so, the Pale Hose gave up their best starter over the past four seasons. Lopat went on to great things with the Yankees during the regular season and the World Series by frustrating hitters with his slow breaking curve balls. On this day in 1908, Bob Boken was born. Bob may have played for the majority of his career with the Washington Senators, but he played the most games with the Chicago White Sox. 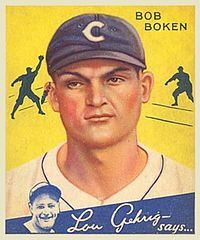 After a little over a season with Washington, Boken was traded to Chicago for Red Kress in the middle of the 1934 season. While Bob's opportunities were on the rise with Chicago, his batting average and on base percentage decreased dramatically. 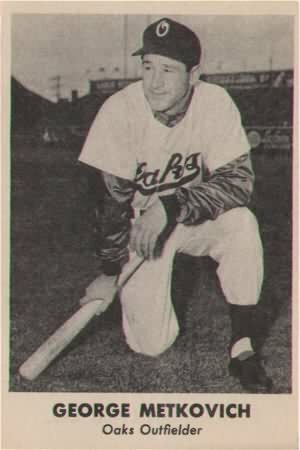 Boken may have only played two seasons worth in the majors, but he played seventeen seasons in the minors, finishing up in 1947 in the Sunset League. On this day in 1963, Don Wakamatsu was born. Wakamatsu's only MLB playing experience came during the course of eighteen games in the 1991 season. He had the pleasure of catching for knuckleball pitcher Charlie Hough. Don's playing career ended at age 33, in the minors. He went on to become a coach for the Texas Rangers and Oakland Athletics. He then became the first Asian-American manager in the majors with the Seattle Mariners after the 2008 season. Fired in August 2010, due to Seattle's poor performance, Wakamatsu returned to coaching with the Toronto Blue Jays. On this day in 1931, the Chicago White Sox and New York Giants played a ten inning exhibition game against each other in Houston, Texas, at Buff Stadium, which was the first time that any MLB teams played under the lights. On this day in 1922, pitcher Jim Wilson was born. Jim came to the White Sox through a 1956 trade with the Baltimore Orioles. He spent the rest of 1956, 1957 and 1958 with the South Siders before calling it a career. His only home run in a White Sox uniform (second of his career) came on August 22, 1956 at Fenway Park against the Boston Red Sox. In the top of the sixth, Luis Aparicio homered off George Susce. 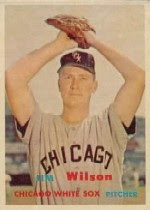 Wilson followed with a home run of his own, increasing the score to 6-1, in favor of Chicago. In the next two and a half innings, the White Sox managed to give up their lead and lose 7-6, with the bullpen giving up the final three runs. On this day in 1969, Guy Harris "Doc" White died. Before the 1903 season Doc jumped from the Philadelphia Phillies to the Chicago White Sox, where he stayed until the 1913 season. 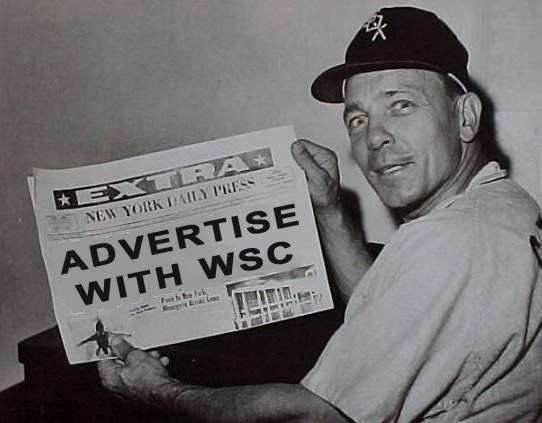 The Phillies and White Sox got into a bidding war over White, with the Sox initially offering more money. When Doc accepted, the Phillies stepped in and tried to offer three times what Chicago did, but the League offices rejected the counter-proposal and awarded the Sox the pitcher. 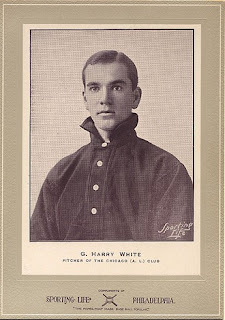 Before starting with the White Sox, White completed his dentistry degree and opened up a private practice, hence the nickname "Doc". While with the Sox, Doc set a record for consecutive shutouts in 1904 with five, which stood until 1968, when Don Drysdale broke the mark. An 89 year old White send Drysdale a congratulatory telegram upon tying the record. Doc's mark of 65 1/3 innings without issuing a walk in 1907 still stands as an American League record. The streak was broken by an intentional walk. 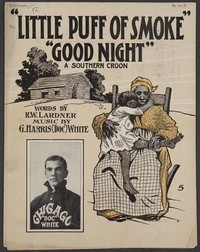 During his time with the White Sox, Doc also became a published composer of numerous songs, including the bestselling, "Little Puff Of Smoke, Good Night". After a down year in 1913, White played in the Pacific Coast League until 1915. On this day in 1981, Alex Rios was born. Rios was claimed off of waivers from the Toronto Blue Jays in August 2009. At his peak in early 2008, Alex signed a seven year contract with the Jays worth a guaranteed amount of $69,835,000: $5.9 million in 2009, $9.7 million in 2010, $12 million each in 2011 and 2012 and $12.5 million each in 2013 and 2014. 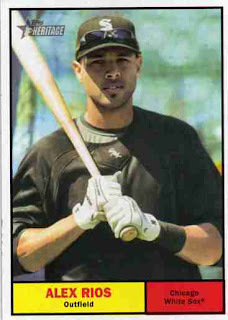 By the end of 2008, Rios started his decline. High expectations followed Alex into Chicago, where some people thought that a change of scenery and entering a situation where the burdens of winning weren't square on his shoulders could help him reach his full potential. There have been small flashes of brilliance, but nothing so far that has justified the climbing salary. Perhaps with a change in manager and coaches, Rios will finally see his potential on display consistently. 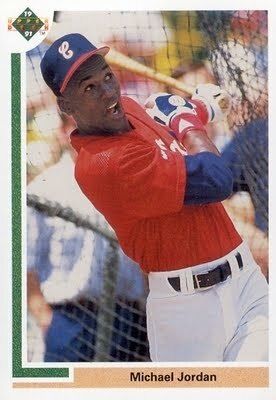 On this day in 1963, minor league baseball flameout Michael Jordan was born. While never making it to the majors, one of the greatest NBA players made a mini diversion into minor league baseball with the White Sox organization. 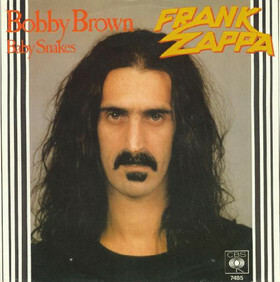 The closest he came was a Crosstown Classic at Wrigley Field against the Chicago Cubs. That didn't stop the press and especially the card companies from going gaga over Jordan's detour into baseball between three-peat championships with the Chicago Bulls. The company that struck first, well before Michael sniffed the minors, was Upper Deck. They even came out with this card right before Jordan won his first of six NBA titles. 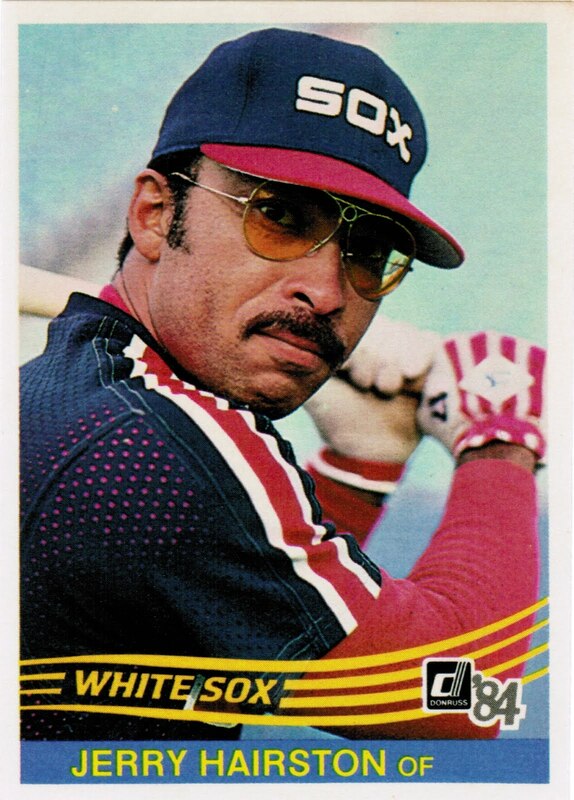 On this day in 1952, Jerry Hairston, son of Chicago White Sox catcher Sam Hairston, was born. Except for a short stint with the Pittsburgh Pirates for part of the 1977 season, Jerry spent his fourteen year MLB career with the White Sox. Beginning in 1973, Hairston played a variety of roles for the Sox until he was purchased by the Pirates on June 13, 1977. 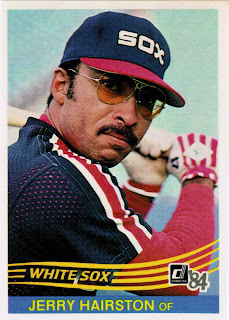 On September 10, 1981, the White Sox purchased Jerry from the Mexican League and he continued his MLB career in Chicago until the 1989 season. In 1988 and 1989, he signed near the player deadline and filled a pinch hitting role. On this day in 1984, the Chicago White Sox sent Jerry Koosman to the Philadelphia Phillies to complete a trade for Ron Reed on December 5, 1983. Perhaps the greatest failure of the eighties for the White Sox was trading Jerry Koosman away. 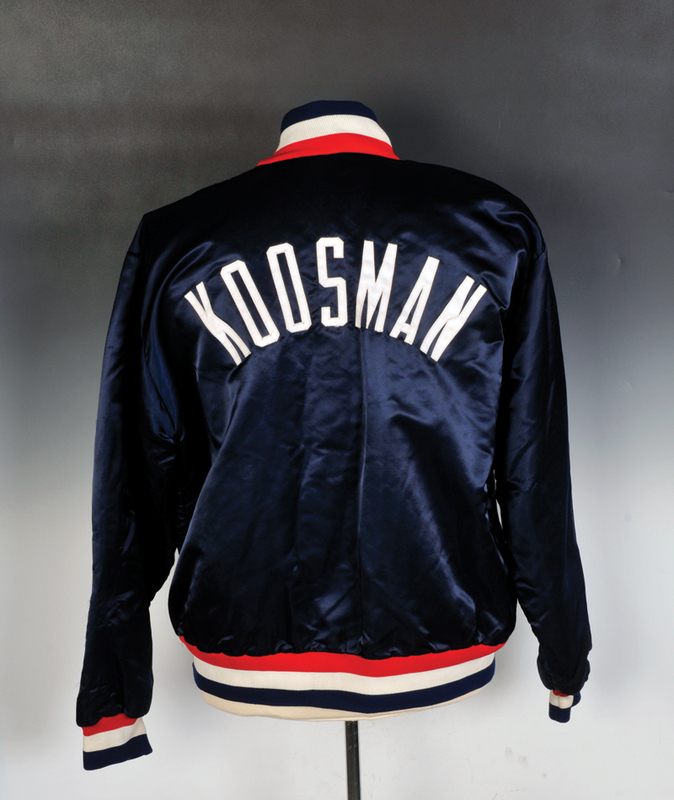 While Koosman did not have a winning record for the Phillies in 1984, he did manage to win fourteen games. Compare that record with the eight managed by all the fifth starters combined and Koosman's 3.25 ERA and you have the difference between a team on the rise and a team on the decline. The AL West division was won with 84 games in 1984. Certainly plugging in Koosman for the season and having every other fifth starter that season concentrate in the bullpen could have made up the ten game deficit. It's plausible. Surely, Juan Agosto or Al Jones could have picked up the slack in the closing department over Ron Reed. Nobody could have predicted how bad Britt Burns' 1984 season could have turned out. Even Mike Squires was called in to pitch once to clean up a bad Britt Burns performance. 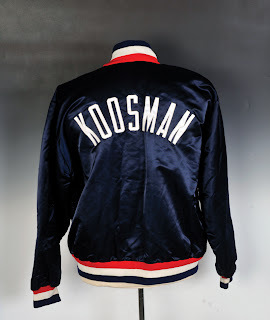 Jerry Koosman is quite possibly the lynchpin that unraveled the eighties Chicago White Sox dynasty. On this day in 1992, Jeff Schwarz signed with the White Sox through free agency. Jeff appeared in forty-one games during the 1993 AL West winning campaign. Schwarz had respectable enough numbers to warrant a return to the Sox in 1994, when the Sox were the favorites to go deep into the postseason. 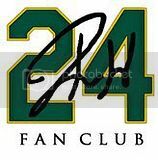 Jeff's numbers weren't as good as the season before and he was traded to the California Angels in late July 1994. The Angels released him after the season and Jeff went on to play one year in Japan for the Yokohama BayStars in 1995. 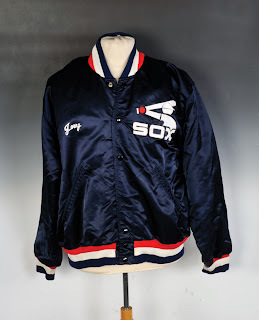 On this day in 1986, pitcher Neil Allen was traded from the New York Yankees, along with Scott Bradley and Glenn Braxton to the Chicago White Sox in exchange for Ron Hassey, Chris Alvarez, Eric Schmidt and Matt Winters. Like most of GM Ken Harrelson's dealings, this one seemed like a good idea and for awhile it was. During the 1986 season, Neil posted a 7-2 record with a 3.82 ERA. Things were looking up. Then Allen started the 1987 campaign with an 0-7 record, with a 7.07 ERA. 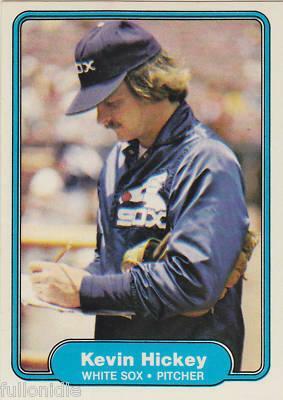 The White Sox released Neil at the end of August 1987. He signed with the Yankees, but managed an 0-1 record the rest of the season. He did bounce back in 1988 and made forty-one appearances for the Yankees. He ended his career with a short stint in Cleveland, where he had a 15.00 ERA in three games. On this day in 1981, Marc Hill signed with the White Sox through free agency. Marc played the backup role behind Carlton Fisk for parts of six seasons on the South Side. His average was low, but his fielding and versatility as an occasional corner infielder made up for it. On this day in 1905, Ed Walsh Jr. was born. 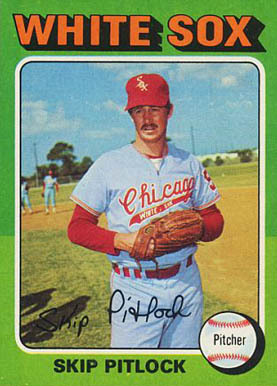 His father, Ed Walsh, was in his second season as a pitcher for the White Sox. 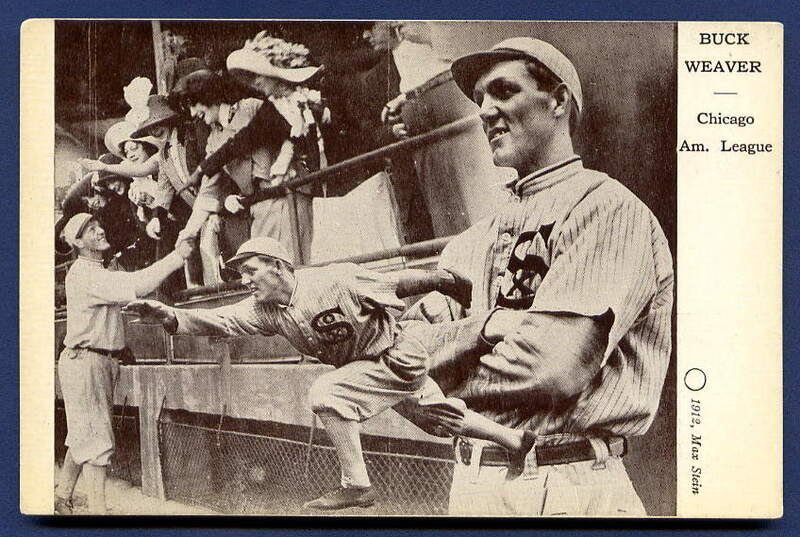 Jr. started pitching for the White Sox on July 4, 1928 with a loss to the Browns at Comiskey Park. He went on to a 4-7 record that year, his best in the majors. The lineage was present but the talent wasn't quite up the standards that his father set. By 1930, Ed was mostly working out of the bullpen, a place for failed starters in that era. 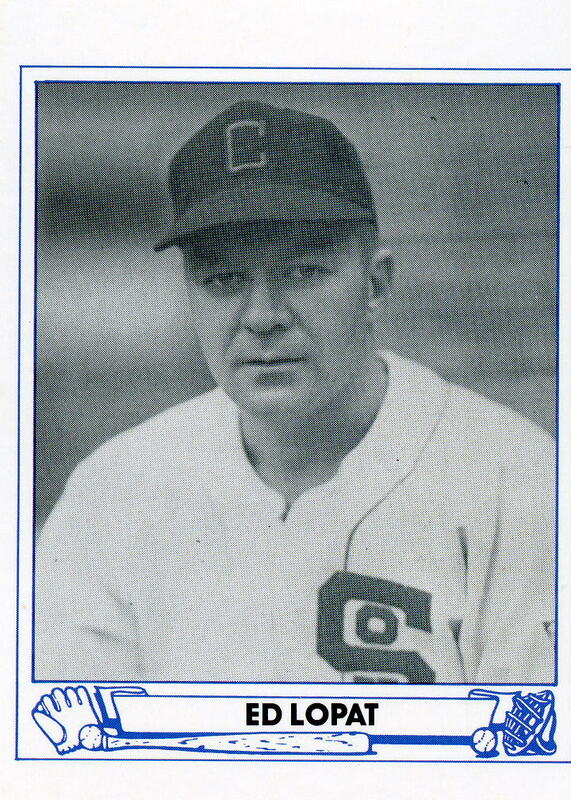 He spent 1931 in the minors, but was called up for one last shot with the White Sox in 1932. His best start that season was on September 17th, where he went eight innings against the Philadelphia Athletics at home, leaving the game tied at four. The Sox ended up winning the game, but Little Ed ended up with a no decision. 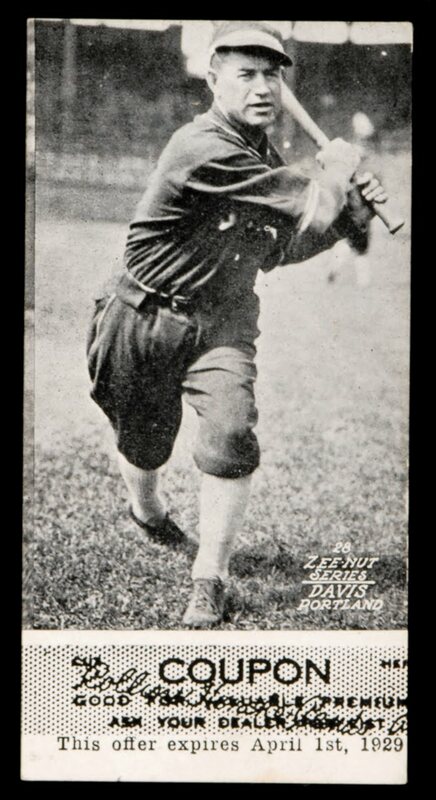 Ed played in the minors until 1937, when he contracted rheumatic fever while playing in the American Association League in Minneapolis. He was confined to bed the entire summer and eventually was taken to his parents home, where he lapsed into a coma and died a week later. Ed Walsh Jr. died of acute heart ailment induced by chronic rheumatism. 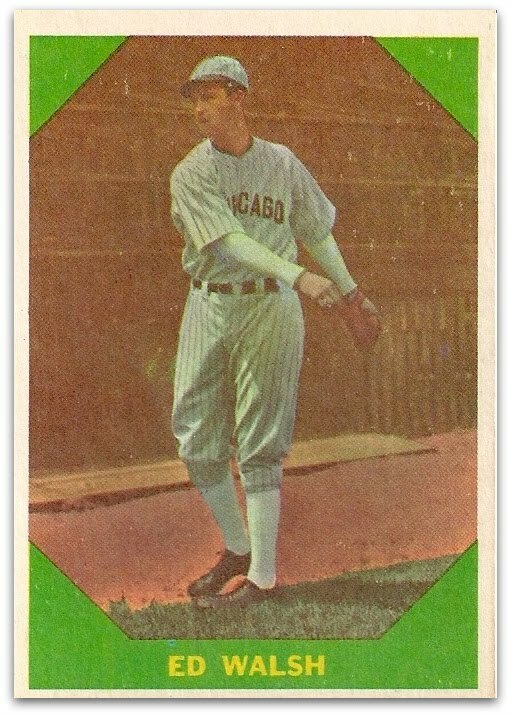 The 1960 Fleer card may be referring to Big Ed, but the picture on the front is actually of Little Ed, making it one of four cards featuring the late '20s/early 30s pitcher. 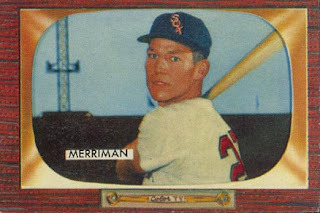 On this day in 1955, Lloyd Merriman was purchased by the Chicago White Sox from the Cincinnati Redlegs. On April 12, 1955, Lloyd pinch hit for the starting pitcher, Virgil Trucks, and hit a fly ball to center to end the top of the seventh inning at Cleveland Stadium. It would be the only game that Merriman would appear for the White Sox. Four days later, on April 16th, Lloyd was purchased by the Chicago Cubs. 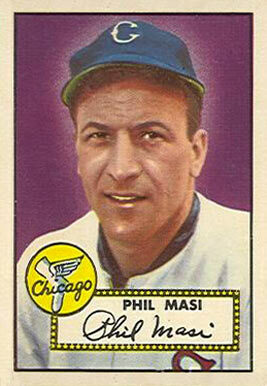 On this day in 1950, the Chicago White Sox purchased Phil Masi from the Pittsburgh Pirates. A Chicago native, Phil ended his career with his hometown team. Masi spent 1950, 1951 and part of 1952 with the White Sox, all at the catcher position. His numbers started to dip in 1952 and he became a third string catcher behind Sherm Lollar and Bud Sheely that season. Darrell Johnson nearly surpassed Phil in catching appearances during his last season. 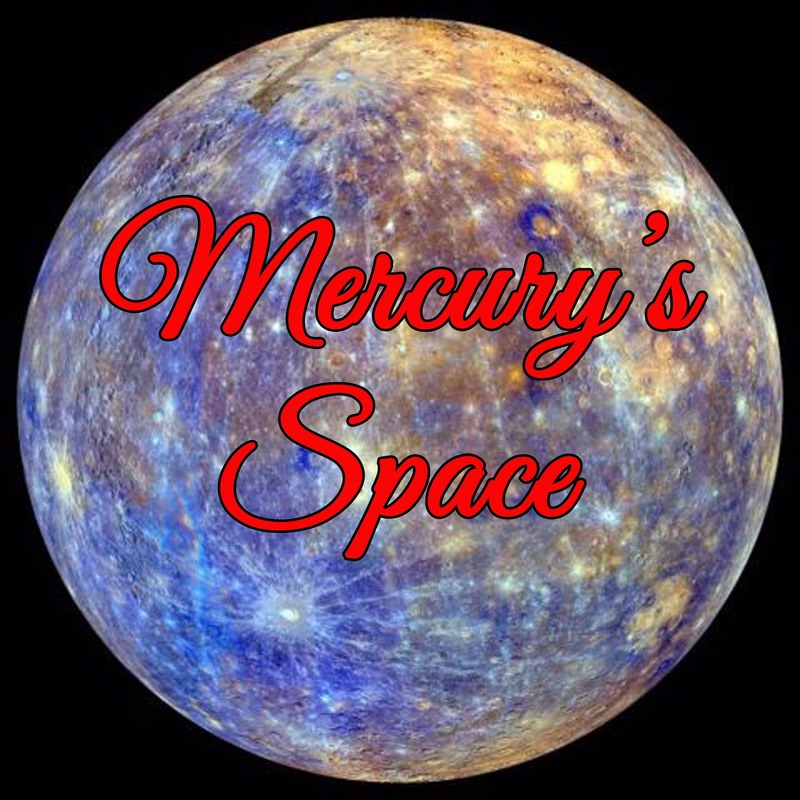 Masi's final two home runs came in back to back plate appearances (in the second and fourth innings) on June 24, 1951 off of Boston Red Sox pitcher Chuck Stobbs in Fenway Park. 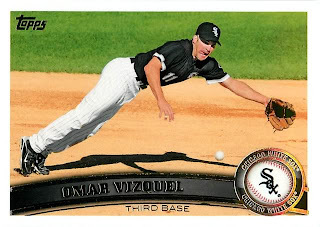 On this day in 2010, Luis Aparicio approved the Chicago White Sox temporarily unretiring his number 11, for Omar Vizquel to wear during his duration with the team, as skipper Ozzie Guillen was unwilling to give up Vizquel's usual number 13. On this day in 1973, the San Francisco Giants traded pitcher Skip Pitlock to the Chicago White Sox in exchange for Chuck Hartenstein and Glenn Redmon. Skip had a 3-3 record with the 1974 White Sox, but in 1975, Pitlock faced just one batter, Billy Williams, who laced an RBI single to center field, scoring Joe Rudi, in Oakland. Skip had replaced Stan Bahnsen in the third inning of an April 10th game, but after giving up the RBI single to Billy Williams, was replaced by Goose Gossage. It would be the last time Pitlock would pitch in the majors. In June 1975, he was traded to Oakland, along with the last man he relived in the major leagues, for Dave Hamilton and Chet Lemon. On this day in 1928 the White Sox sent Ike Davis to the Portland Beavers to complete a November 1927 deal that landed the South Siders infielder Bill Cissell. Ike first played with the White Sox in 1924 and he became their everyday shortstop in 1925, but Ike would never again reach the majors after that season. Bill Hunnefield took over regular duties at shortstop for the 1926 and 1927 seasons, before moving to second base as a primary position when the Sox traded Ike Davis, Ike Boone and Bert Cole for their new everyday shortstop Bill Cissell. 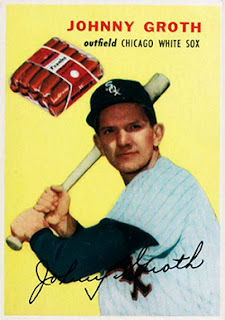 On this day in 1954, Johnny Groth was traded from the newly moved Baltimore Orioles to the city of his birth, Chicago. Johnny played in the last Browns game at Busch Stadium on September 27, 1953. He struck out to lead off the top of the eleventh against Chicago White Sox pitcher Billy Pierce, who ended up pitching the entire game. Pierce's only blemish was a double to Groth in the third inning, who ended up scoring on an Ed Mickelson single to right field. It would be the Browns last lead in St. Louis. The White Sox eventually won the game in the eleventh inning and the Browns prepared for their move to Baltimore for the 1954 season. Groth batted a respectable .285 for the White Sox in 157 games, spread out between 1954 and the first half of 1955. Johnny was traded to the Washington Senators on June 9, 1955, along with Bob Chakales and Clint Courtney for Jim Busby, effectively ended his career with his hometown team. On this day in 1955, Rusty Kuntz was born. Rusty was chosen in the eleventh round of the 1977 draft by the White Sox. 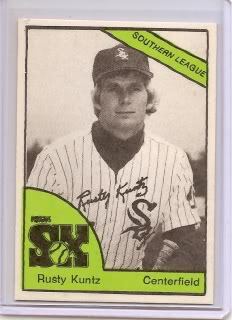 After two minor league seasons, Kuntz made his MLB debut with the Sox on September 1, 1979. Rusty got his first hit on September 23, 1979, in Seattle, against the Mariners, in the top of the ninth inning, off of Rick Honeycutt. It was a single to center field, but he was forced out at second base to end the game when Alan Bannister grounded to third. This would be Rusty's last appearance of the 1979 season. Kuntz played sparingly for the Pale Hose until June of 1983, when he was traded to the Minnesota Twins for minor league third baseman Mike Sodders. Rusty went on to win a World Series Championship with the 1984 Detroit Tigers. What's with all the gold in them there 2012 Topps? We get it. Topps loves foil and Topps loves gold, but I am at gold overload after one blaster. Gold this. 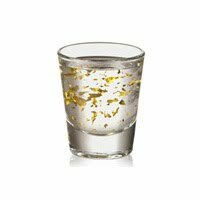 Gold that. Enough! 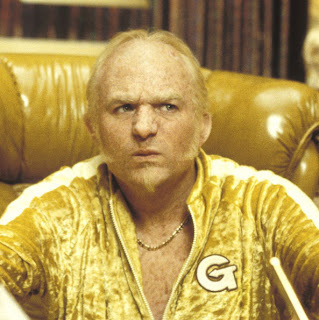 There's enough Golden talk to make me instantly think of this classic song. 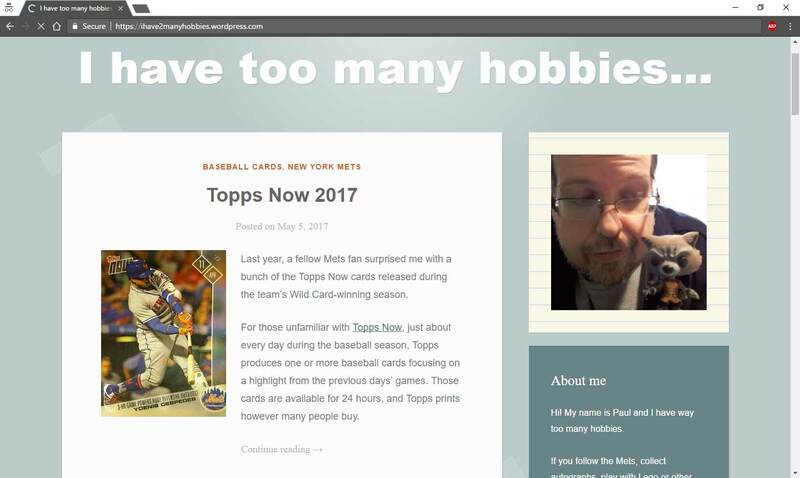 Sure, I entered a two case break of 2012 Topps Series One and I did pretty well in that break, but curiosity got the better of me. 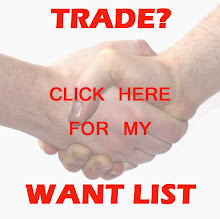 I had to open some new product! It's a right and a ritual! Plus, it's always better to have the cards in hand, rather than in transit. ... two smiling first basemen. And that made me smile. 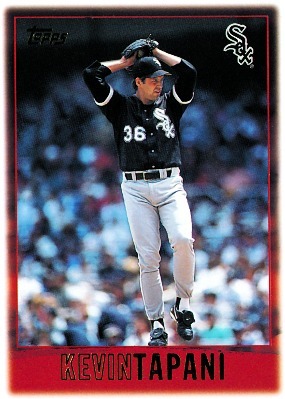 On this day in 1996, Kevin Tapani signed a one year contract with the Chicago White Sox. Kevin would go on to a respectable 13-10 record in thirty-four games for the Sox that season. Tapani was the definition of workhorse that year, logging in 225 1/3 innings. After the 1996 season, Kevin signed with the Chicago Cubs, where he played the rest of his MLB career. On this day in 1982, Joel Skinner was chosen by the Chicago White Sox as a free agent compensation pick from the Pittsburgh Pirates. 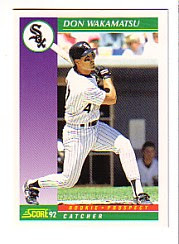 Joel was blocked by Carlton Fisk and Marc Hill for most of his South Side career. In 1986, he was deemed expendable when Ron Karkovice came up from the minors. Skinner went on to the New York Yankees and the Cleveland Indians. 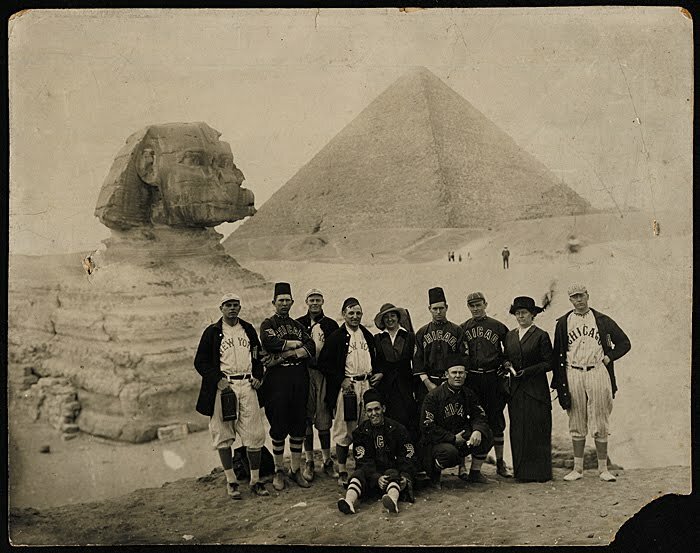 On this day in 1914, the first exhibition game played in the Egyptian desert was played between the New York Giants and the Chicago White Sox, in Cairo, Egypt. The White Sox and Giants played ten innings and wound up with a 3-3 tie. It was the first of fifty-six games as part of a world tour promoting baseball. Buck Weaver battled Jim Thorpe for the "MVP" of the Desert Sands League, where Buck Weaver helped turn the tour's only triple play, which he almost performed unassisted. Buck sitting with his white stockings out and a big grin, in Egypt.